(9:05 a.m. EST) -- Viking Ocean Cruises and Fincantieri, one of the largest shipbuilders in the world, have agreed to expand Viking's new ocean ship order by six ships. That brings the total of Viking's ship orders and options to 16. According to Fincantieri's press release, the six new ships agreed on this week will follow a similar design to Viking's existing 930-passenger, 47,800-ton, all-balcony upscale cruise ships, but will tweak plans to incorporate the latest technologies available. 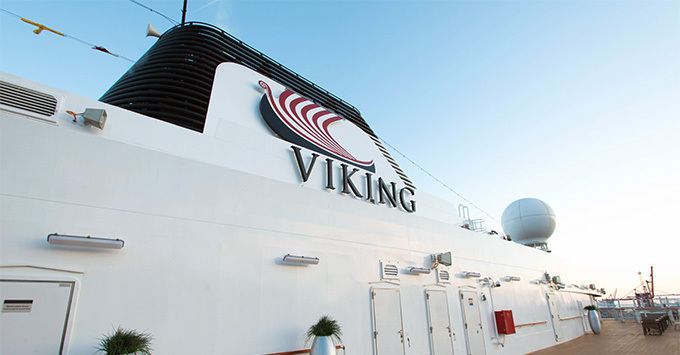 Viking Ocean Cruises' most recently debuted ship, Viking Sun, is currently sailing the line's first (and sold out) world cruise, and will be officially christened on March 8 in Shanghai.